How do I send songs on WhatsApp through Poweramp? 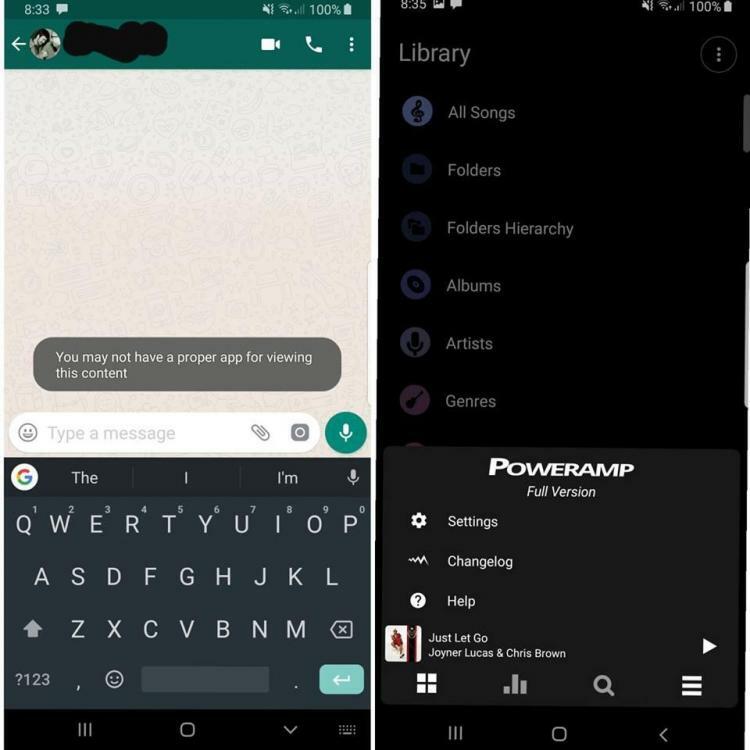 Hey, I wanted to know how do you Poweramp to select and send music through apps like WhatsApp? Right now I have only have Google Play music installed on my phone (Galaxy S8+), because that's the only app through which I can send audio to recipients (P.S: I deleted the Play Music App later on because it was boring). Although I also have an option to delete Google Play music from my phone, if I did it, it will give me an error saying "You may not have a proper app for viewing this content" when I click on the "earphone" icon in a WhatsApp conversation to send an audio file. I'm on Android P, is there a setting to change this? In this case I'm planning to use Poweramp as my Primary music player, because it's better than any other app I have ever used and it's feature rich. Long-press on any song in one of the Library views and select 'Send' from the resulting menu. 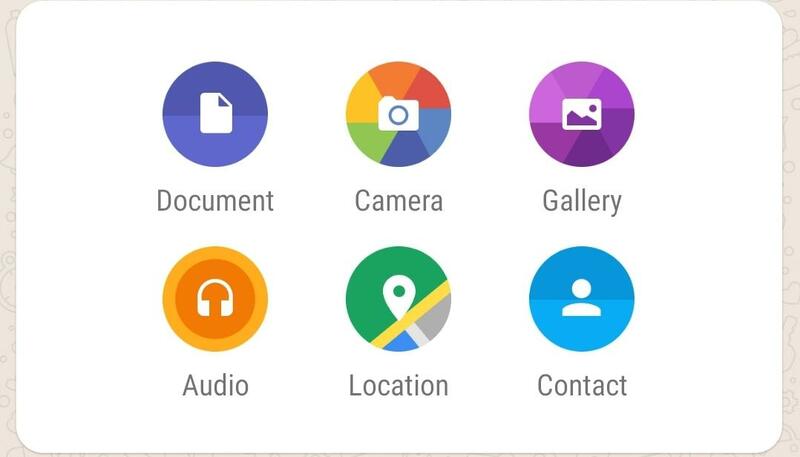 Then choose the app you wish to use to send the file. You can multi-select several songs to send at once that way too. Thanks for the reply! Can't you directly send songs through WhatsApp? Does Poweramp not have integration with WhatsApp? Can't you directly send songs through WhatsApp? Does Poweramp not have integration with WhatsApp? Poweramp can play files. So if you can give Poweramp access to a directory, it can play the files there. If that directory is being managed by another app, that doesn't matter. Perhaps one day Poweramp will access files from the cloud. If you play a song and decide to share it via whatsapp, you can long press the song in the list view, select "Send" and choose the app you like, and that can be whatsapp. You can send any files directly from What's App, just use the paperclip icon at the bottom of its message-writing screen and choose the file you want. Its file explorer is not the easiest to use, but it works (use the general 'Documents' mode and navigate your way to your music folders). That's nothing to do with Poweramp though; from within Poweramp you use the Send button that I mentioned earlier, and then choose What's App from the list of applications to send the file. Okay, thanks for the help. Are there chances that Poweramp might get integrated with WhatsApp in future, so that I'll be able to send songs directly by taping on "paperclip" icon and then tapping the "headphone" icon? You'd have to ask What's App that question, those are their icons not Poweramp's, and they chose to define 'Audio' as meaning content stored in the default Android system music location.